Going by complaints from policyholders, the reforms to improve transparency and lift standards in the insurance industry cannot come soon enough. Consumer groups have been recording an increasing number of complaints about insurers from customers angry at what they see as poor service. Most of the proposals announced last week by the Financial Advisory Industry Review (Fair) panel set up last year are designed to address these shortcomings. Thank goodness for that, say policyholders contacted by The Sunday Times. Accountant Dolly Tan, 35, says that her insurance agent has a knack of disappearing on her and uncannily scheduling reviews of her portfolio "every few years only when my policies are near their termination dates". And it seems she is not alone in wanting more from financial advisers. The Consumers Association of Singapore (Case) said insurance- related complaints regularly outpace grievances filed against other financial institutions such as banks. There were 35 complaints filed against insurers and their agents in the nine months to Sept 30 compared with 20 against financial institutions. 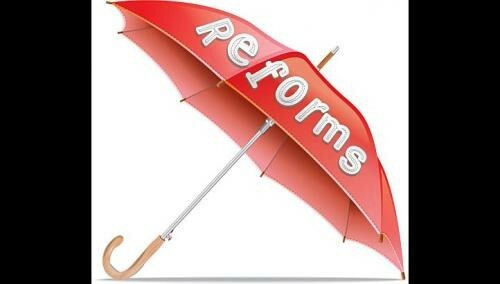 Last year, 70 complaints were filed against the insurance sector, as opposed to 19 against financial institutions. Most complaints centre on the misrepresentation of benefits, misselling of products or poor service from agents. New rules stemming from the Fair panel's recommendations aim to benefit consumers in five broad areas. A comparison website of life insurance products like term or whole life policies and endowment plans will be set up by the Monetary Authority of Singapore (MAS) and the Life Insurance Association (LIA) by the end of next year. By keying in particulars like your age, gender and the amount of coverage you want, the website will pull up relevant information. Key data like premiums, death benefits and the surrender value of various products will be available for you to compare. This will make it much easier than the current practice of having to talk to financial advisers, who are normally tied to a company and often provide information only from the firm they represent. Regional sales manager Ferre Tang, 37, applauds the plan: "It's very useful as I need to read to digest the details. It's great if you read it and someone advises you by the side on more important policies, but a comparison chart is most straightforward." Another change will involve greater disclosure for bundled products, which are life insurance policies that contain both a protection element and a savings or investment component. Financial agents will have to let customers know that the product is bundled and offer the option of buying just the protection element or the term insurance product, for the same amount of coverage at a lower premium. That means consumers can save on the difference instead of buying a bundled product that they do not want, or park the difference in another investment product of their choice. Mr Nick Blake, head of retail at Vanguard Asset Management's Europe division, says regulators worldwide often seek to improve the disclosure regime. "This is to ensure investors get a fair deal... It makes the investment more transparent, so people can be more informed, have more choices and vote with their feet," he adds. By the middle of next year, firms must ensure that consumers can buy basic products like term and life insurance as well as critical illness riders through a direct channel for a nominal administration fee. Currently, these products cannot be bought directly without paying a commission, even if no advice is given by an agent. The direct channels, which can be online, should make more information available and increase competition, which should lead to lower premiums. Paralegal Michael Wong, 34, welcomes the move, seeing it as a way of allowing him to form his "own opinion not influenced by others". From her experience, legal executive Sharifah Ahmad, 35, says the service provided by agents is not up to par: "Sometimes, they talk so much, but I don't know if the products are suitable and I end up not knowing what I'm buying." That could occur less frequently as agents will be expected to raise their service standards under a new remuneration framework to be put in place by January 2015. The new framework will not only look at sales targets, but will take into account non-sales performance indicators. These could include selling suitable products to their customers and disclosing sufficient information. An agent's transactions will be checked every quarter. If their infractions on non-sales targets are serious, they could lose a part of their earnings. The minimum academic entry requirement for an agent will be raised from four O-level credit passes to a full certificate at the A levels, an International Baccalaureate diploma qualification or a diploma awarded by polytechnics here. Agents will also have to undergo 30 hours of continuing professional development annually, including training in ethics. Insurers will have to monitor their agents' non-financial advisory activities and ensure that they do not go against the interest of the firm or the customer. For example, agents will not be allowed to act as real estate agents as the MAS said there are "inherent conflicts of interest" when an agent takes on both roles. The financial advisory agent could, for example, be tempted by higher real estate commissions into inducing a customer to consider a property deal when their needs could be better met with an investment product. But the MAS does not expect many to be affected by this rule. Its survey indicates that only 1.5 per cent of financial advisers are concurrently real estate agents. Financial advisory firms will have to maintain financial resources of $150,000 or a quarter of the relevant annual expenditure in the immediate preceding financial year, whichever is higher. Items such as non-current assets and less liquid assets will also be removed from the list of what are considered "financial resources". The MAS said the reserve requirement will help firms meet short-term financial obligations. The executive director of Case, Mr Seah Seng Choon, who is also a member of the Fair panel, said more could have been done to help consumers. "I am disappointed because some of the changes watered down the effect of the original recommendations in favour of the financial advisers at the expense of consumers. I hope the MAS will review the changes that reduce the benefit to consumers," Mr Seah said. The MAS decided to cap agents' commissions earned inthe first year of a policy to 55 per cent of total commissions, instead of the 40 per cent limit proposed by the Fair panel backed by Mr Seah. With the bulk of commissions being paid out in the first policy year, even when agents have the clients' best interest at heart, the temptation to sell a higher-value product but less suitable product is there. Vanguard's Mr Blake, whose firm advocates a strict no-commission policy and charges an advisory fee instead, notes: "In many markets, the misalignment of interest manifests in misselling scandals and complaints about products sold." Customers should also note that more complex investment-linked products (ILPs) are not considered "basic insurance products", so they will not be made available for purchase through the direct sales channel. And volume-based remuneration for people who introduce clients to financial advisory firms will still be allowed. This means the more successful introductions are made, the higher the payment given out, which could lead to people being steered to insurers with no real concern for their actual insurance needs. Case's Mr Seah also suggests that you have options if you change your mind after the purchase. "Consumers must know their rights, they have a 14-day cooling-off period to pull out of the deal," he said.